The North Vancouver City Hall project revitalizes an existing modern-heritage municipal building with a significant addition of public space, staff offices and meeting rooms. 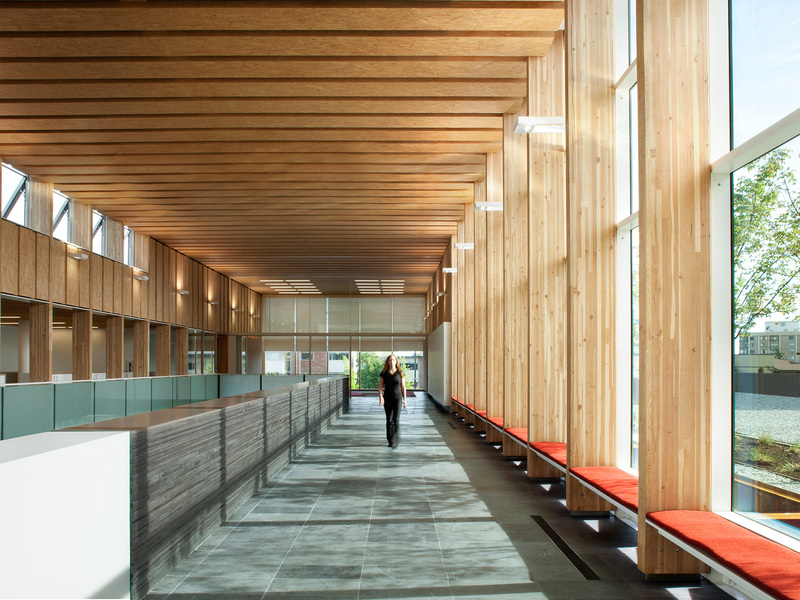 The project features an innovative mass-timber structure within a 220-foot long atrium. 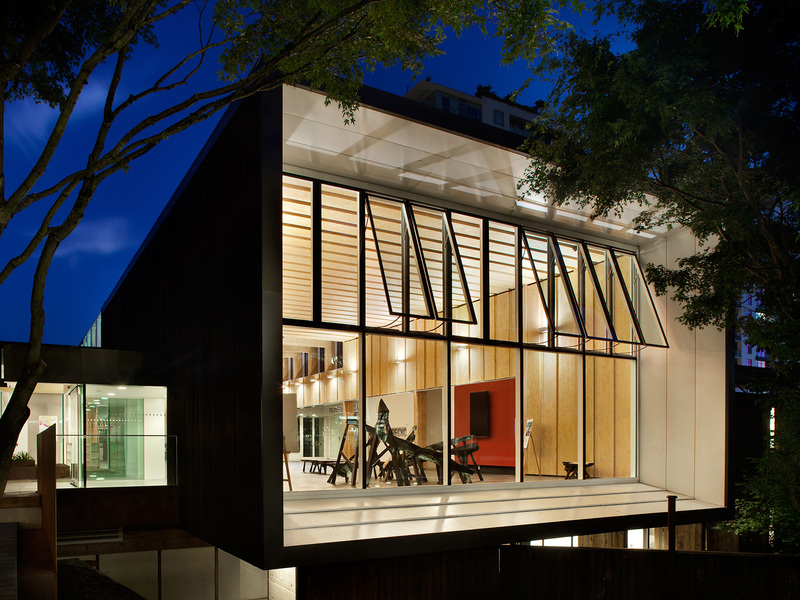 The structure knits together the existing building with an adjacent vacated library. The project upgrades structural and environmental performance. Careful attention was given to public and staff amenities and the flow of public space from inside to out. The design illustrates a successful restoration through the use of structural wood. 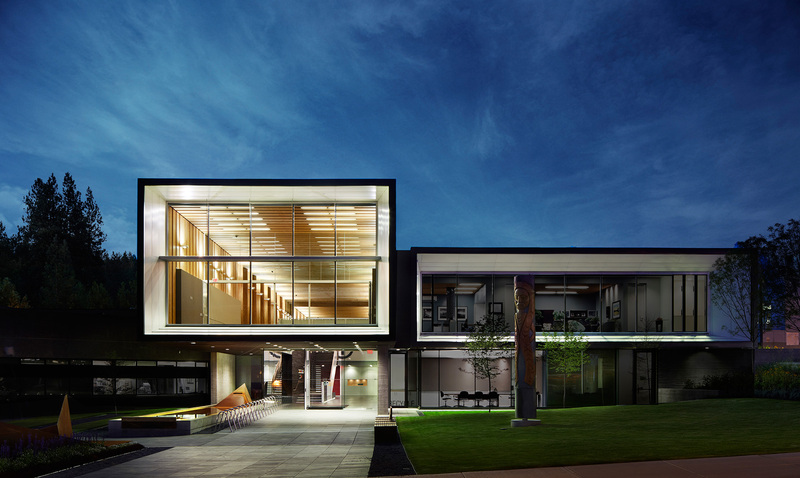 A clear spatial design results in elegant public architecture. 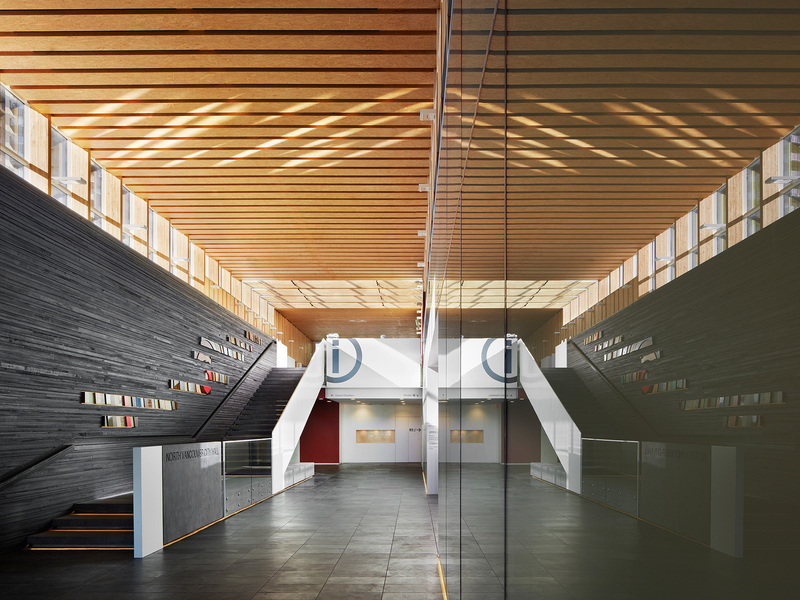 "An elegant, restrained and sophisticated expansion to a small district municipal hall. A simple and engaging tube-like structure is inserted between two existing buildings, to act as a common entry point. 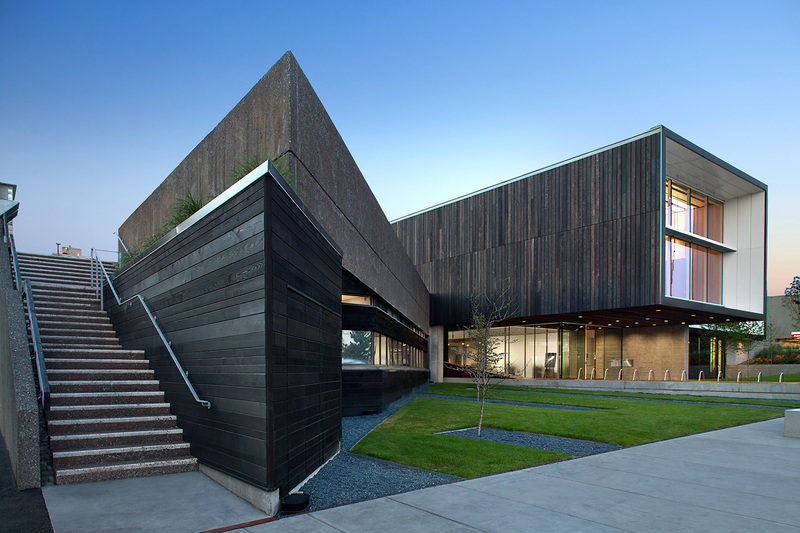 The vocabulary is warm and refined, befitting a city hall’s place in the community."